INTERESTED IN MAGICIAN - MIKE SUPER? MIKE SUPER is called upon by companies and corporations to work his magic all across the globe. Recently HP(Hewlett-Packard) needed Mike to not only entertain their top executives, but needed all the magic he did to fit their themed message, "Hitting New Heights!" Mike created a custom illusion and levitated DreamWorks CEO Jeffrey Katzenberg, who's company happens to use HP computers to render all of their studio's animation, five feet in mid air, while comedically weaving HP's message into the magic. It looked absolutely impossible! Jaws dropped, (including Mr. Katzenberg's) BUT more importantly, the HP message was delivered to the group in a magical and MEMORABLE way! When DISH NETWORK needed an act that was different, engaging and could not only perform, but INSPIRE an arena filled with their 4000 best sales professionals, they called on Mike to work his magic. Mike worked with the event planner, and the corporate executives together and developed a custom illusion where he made the new VP disappear under test conditions! Jaws dropped and the crowd went crazy, but more importantly Mike made the executives at DISH look absolutely amazing! Whether it's a hotel ballroom or an arena, Mike will deliver what you need! What's even greater about Mike is he realizes that YOU (the Event Planner or Corporate Exec.) are quite literally, staking your reputation on his performance AND his interaction with the client before and after the event...so rest assured, there is no risk involved in using Mike Super...Mike will deliver FAR beyond what you and your client expect. Mike works with everyone involved taking into account what every department needs and he culminates all of this into an event that will take everyone's breath away! In fact, it's been said over and over that using Mike Super as your corporate spokesman/entertainment...is actually "REPUTATION INSURANCE." Mike offers several shows to fit your needs. Mike is a refreshing Corporate MC dividing up your program into amazing moments that become the foundation and thread to your exciting evening...OR, if you prefer, Mike can simply ENTERTAIN becoming the big finish show to cap the night off perfectly! In addition, Mike can create a custom script that delivers your corporate message in an entertaining and unique way, all the while working his magic seamlessly into the presentation. The great thing about Mike Super is that all of his shows are "corporate clean," Mike has a way of making the attendee's WANT to pay attention and take part without ever embarrassing anyone! Whether it's a sales meeting, a customer appreciation dinner, a benefit, an awards ceremony, or a convention, Mike Super delivers amazing results every single time! Meeting planners and corporate organizers RAVE about Mike because he simply makes THEM look good! Mike's easy to work with and it's important to him your event is a huge success! The audience size and event do not matter...large or small, Mike makes the impact you need in these tough economic times. Whether it's performing at the Nokia Theater in Hollywood for PollStar's 7,000 attendees, or playing host, in segments, at an award dinner for Robert Half's 300 top sales leaders held at the Venetian Hotel in Las Vegas, Mike Super is the magic man for the job! He can even make your CEO appear from nowhere LIVE on stage in front of your baffled audience! In fact, Ellen DeGeneres saw Mike do this and asked him to come onto her television program and make HER appear to kick off her show! 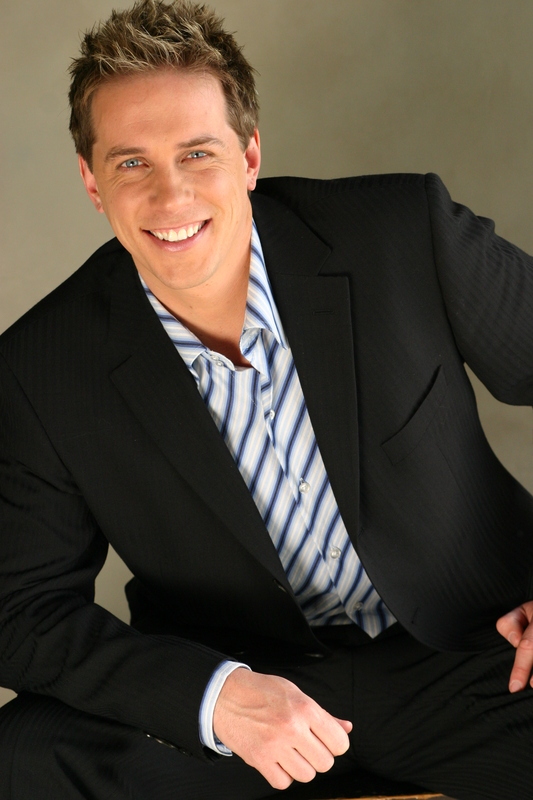 Mike Super ENTERTAINS, INFORMS, AND MORE IMPORTANTLY... Mike Super INSPIRES! And that IS magic.